RELAX. WE'VE GOT YOUR HOME COMFORT! 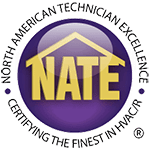 At NAPPS, we service all makes and models of residential HVAC systems at competitive prices. We uphold an enduring tradition of unmatched customer service for our valued customers. Call us to schedule an appointment for a comprehensive home comfort analysis, and we’ll handle your comfort from there. 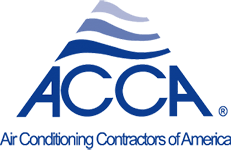 An efficient operation of your commercial HVAC systems is crucial to ensure occupant comfort and protect your investment. At NAPPS, we offer installation, repair, replacement and upgrades of your existing commercial/industrial HVAC system. Let our highly-trained technicians to put their ideas into work for you. Our experienced plumbers can handle every plumbing job from simple dripping faucets to larger emergencies that require urgent attention. We provide friendly and reliable services with professionalism and expertise you can count on. At Napps, we understand how important your refrigeration systems are to your business. It is vital to keep your refrigeration freezers and systems operating optimally and to their full capacity. Whether you need a new walk-in cooler or your current refrigeration system needs repair, trust Napps for our superior workmanship and service. I have recently hired NAPPS to take care of my major plumbing problem. They took care of the problem faster than I expected and their services was throughout and professional. Great customer service as well. I would highly recommend NAPPS to everyone! Click on any region on the map. Check out some unbiased reviews using Cornerstone Local and find out what makes us stand out.